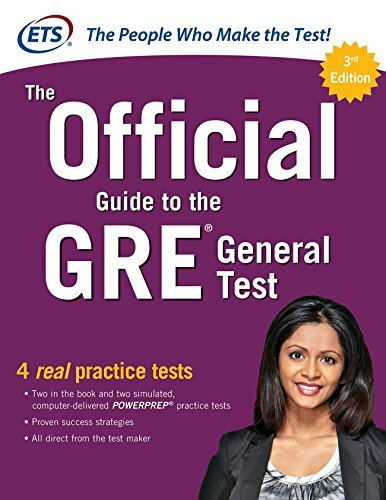 Get the only official guide to the GRE® General Test that comes straight from the test makers! If you’re looking for the best, most authoritative guide to the GRE General Test, you’ve found it! The Official Guide to the GRE General Test is the only GRE guide specially created by ETS–the people who actually make the test. It’s packed with everything you need to do your best on the test–and move toward your graduate or business school degree. Only ETS can show you exactly what to expect on the test, tell you precisely how the test is scored, and give you hundreds of authentic test questions for practice! That makes this guide your most reliable and accurate source for everything you need to know about the GRE revised General Test. Everything you need to know about the test, straight from the test makers!